Gateway Worship is an American Christian worship band from Dallas-Fort Worth, Texas. The team leads worship at Gateway Church, a 16,000 member congregation located in Southlake, Texas, which has grown quickly since the church's beginnings in 2000. Gateway Worship is made of a whole team of worshippers who serve Gateway, primarily led by worship leaders Thomas Miller, Walker Beach, Kari Jobe, David Moore, and Zach Neese, who all graduated from Christ for the Nations Institute. Jason Tam and Sion Alford round out the pastoral staff. 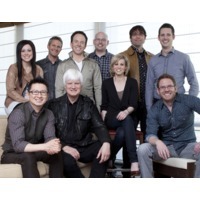 Gateway Worship is currently signed with Gateway Create Publishing and Integrity Music.